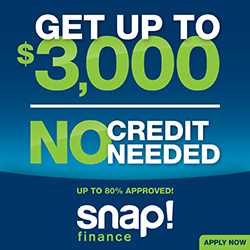 Folsom Tire & Wheels accepts SNAP!financing. Get the money you need for tire, wheel, and automotive services today. There's no credit check, and SNAP! offers easy repayment options so you can spend responsibly without making huge sacrifices in other areas of your life.